I recently upgraded my Configuration Manager lab and as is the norm nowadays I ran the prereq checker – no isssues, then kicked off the install and went about my evening as the upgrade process in Configuration Manager is slick as you like. When I came back to it however, the console wouldn’t connect when I started it. I did some initial checking and the upgrade seemed to have ran through OK, the services were running and CMUpdate.log looked pretty good on the whole. 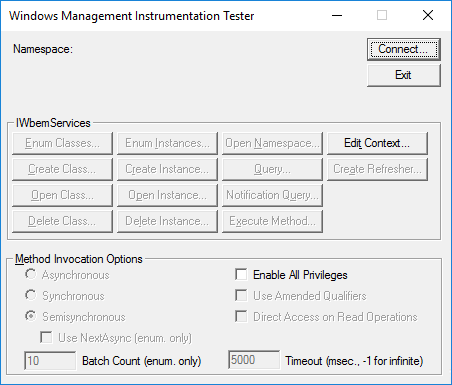 Tip – If you find yourself here, make a check with WBEMTEST to see if you can connect to the WMI namespace for Configuration Manager. In my case, this wouldn’t connect it simply went to not responding. 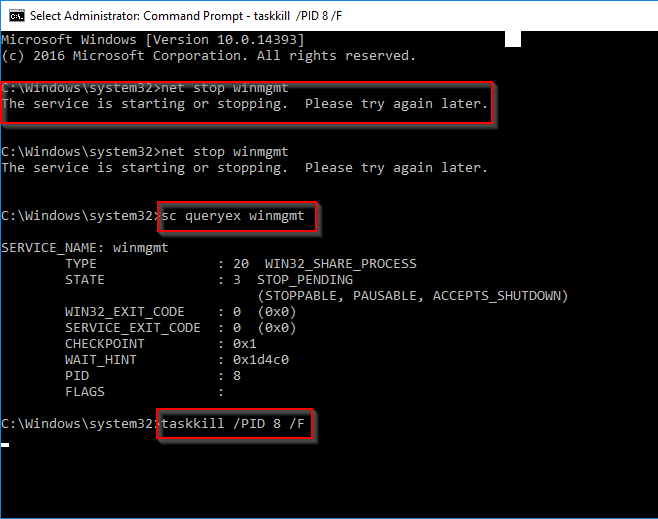 I happen to mention this to a colleague and he said he had seen the same on the last two upgrades and pointed me to the logical next step which was checking WMI was running – it wasn’t. The upgrade had issues stopping WMI by the looks of it. Now you have two choices here, force the services to stop or kill the server and restart the OS. I would recommend trying the nice option first as killing server can be a little dicey at this point and can lead to BSOD or worse. Now take the PID (Process ID) and try and force a kill on it. At this stage you can cross fingers and wait to see if it works. I was due to travel so I decided to leave it running and checked back a day later but it was still stopping. 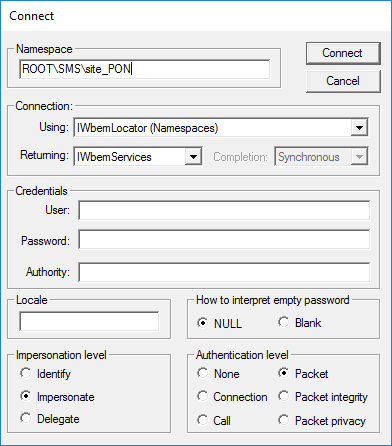 I did however notice that I could then make a connection with WBEMTEST but the service was still stuck. So I decided to try and fire up the console and it did work. 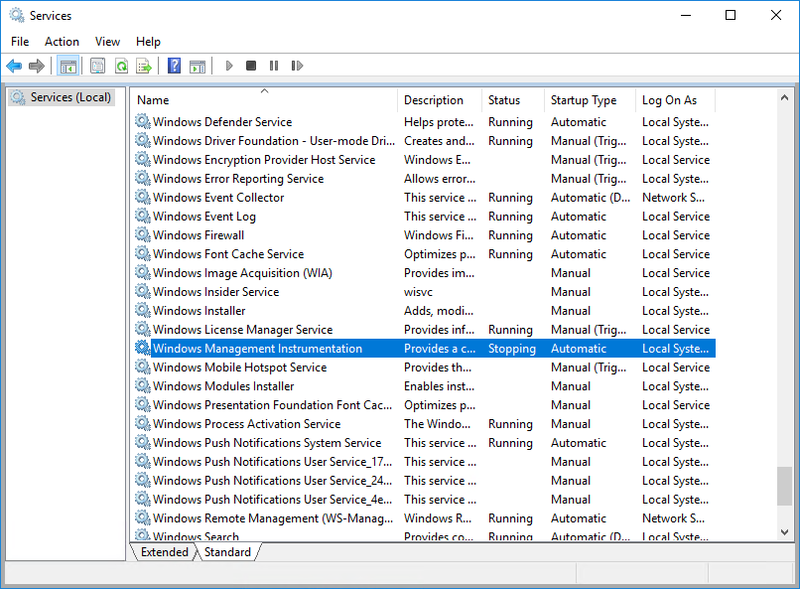 Although the command prompt process shown above was still running, once I refreshed the services windows I could see the service had returned to a running state.